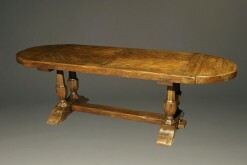 Antique French walnut kitchen table with two drop leaves.Antique French walnut kitchen table with two drop leaves. 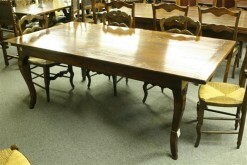 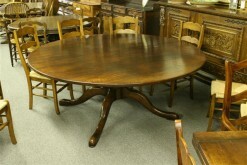 19th century French walnut kitchen table with drop leaves and fluted legs. 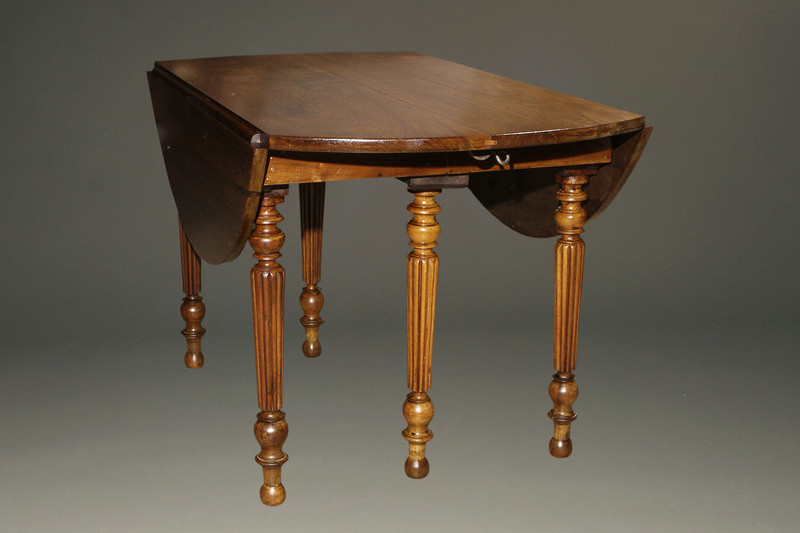 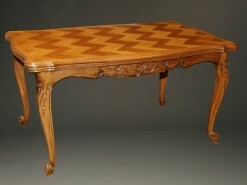 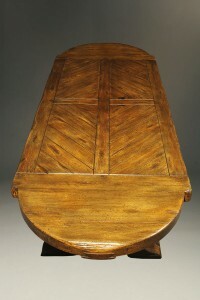 This is a 19th century French kitchen table with two drop leaves and 6 fluted legs. 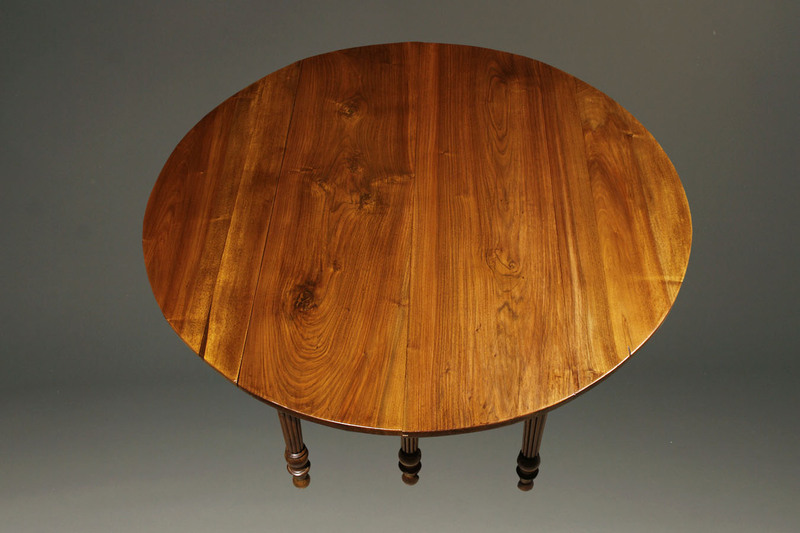 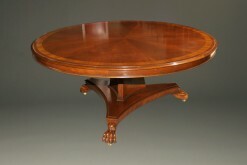 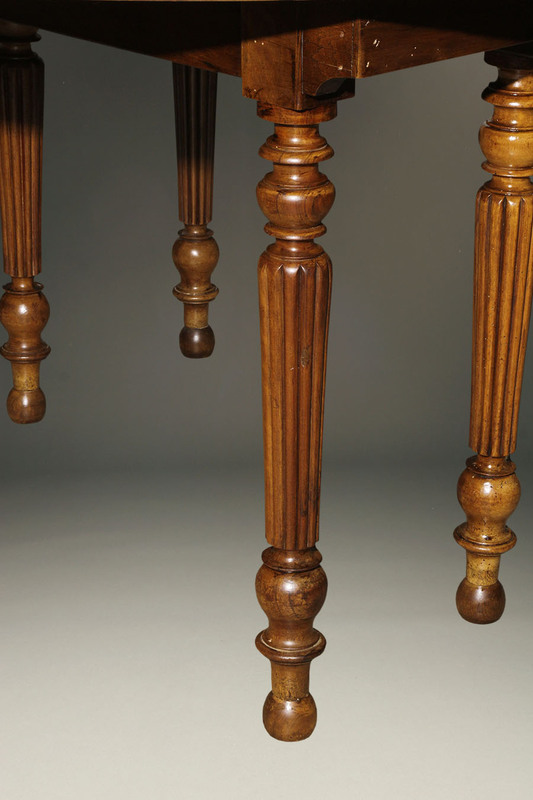 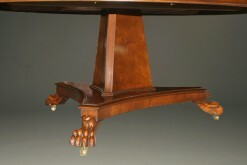 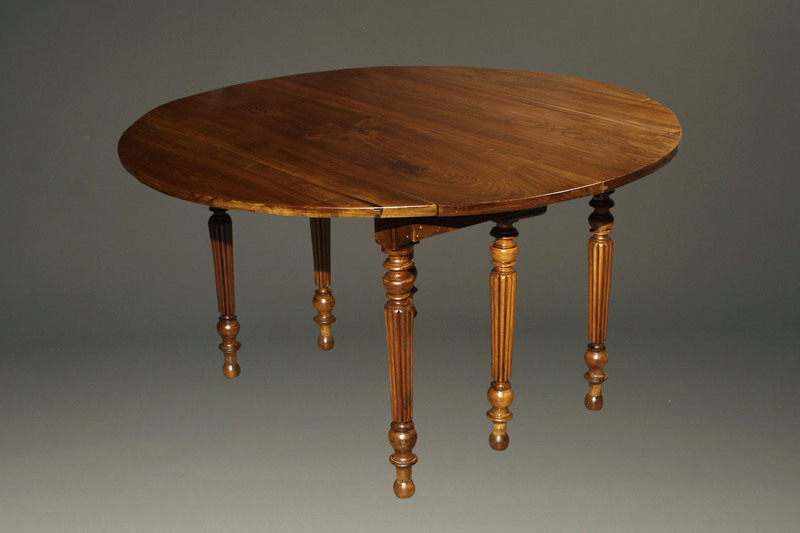 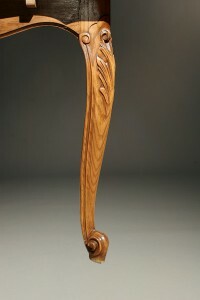 When the drop leaves are in the “up” position the table has a 51″ diameter. When the leaves are “dropped” the table is 28″ wide.